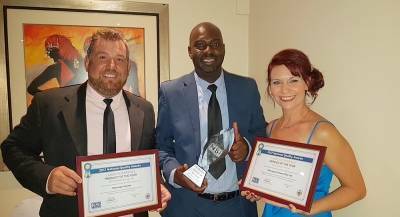 For delivering excellent local service that best reflects it commitment to local production and quality, Ohorongo won the Large Enterprises Service of the Year 2017 Edition at 5th prestigious Annual National Quality Awards last night (23 Thursday 2017). The company is also the runner up for the Large Enterprises Product of the year award. The Annual National Quality Awards are aimed at recognizing and appreciating organizations and individuals who are contributing to the quality advancement in all sectors of Namibia, and who use quality advancements to support national- and regional economic development and growth. Ohorongo, which is currently the only cement manufacturing company in Namibia, offers five cement types for different applications. With a fully equipped analytical, concrete- and physical laboratory, the company offers technical support services to the local industry as required, and is actively involved in various projects within Namibia. “As part of our continuous improvement process, we at Ohorongo set ourselves up against the best standards. We use them to fine-tune our performance, while operating in more efficient and sustainable ways,” said Hans-Wilhelm Schütte, the Managing Director of Ohorongo. To ensure local service excellence, contact sessions and visits to customers are done on a regular basis. This year the company extended its local service excellence to the end consumers of its products, through its Brickmaking Training Academy it is rolling out to all regions. This has resulted in the training of more than 100 people in six regions thus far. “The Brickmaking Academy is our way of contributing towards the poverty eradication objectives of our government. Ultimately, this would also contribute to the sustainable development of our country, and hence towards creating a better future,” said Schütte. Last year NSI certified Ohorongo Cement’s five cement types for fulfilling the requirements of the NAMS/EN 197 Standard. The company is also one of few cement manufacturing companies globally to receive the ISO 9001:2015 certification quality management system. The company has invested in excess of N$ 3 billion in its cement plant situated in the Otjozondjupa region near Otavi, and currently has a production capacity in excess of one million tons annually, enough to serve the local market and neighbouring countries. Ohorongo also operates a state-of-the-art plant, which is one of the most energy efficient and environmentally friendly plants in Africa. 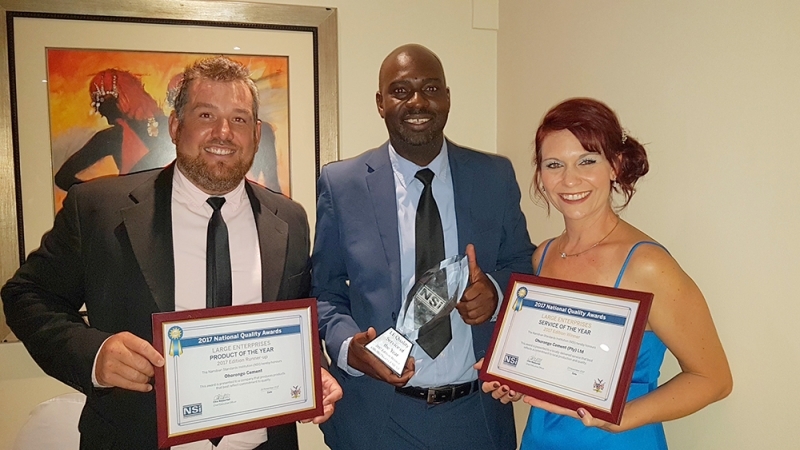 Since its first full production year, 2011, the company has won various awards amongst them the 2014: NMA Ambassador for Manufacturing in Namibia / NMA Corporate Manufacturer of the Year / Most Environmentally Friendly Manufacturer / Product /Service Excellence Award at the Made In Namibia Expo. In 2015 Ohorongo also received the Environmental Investment Fund (EIF) for Environmental Excellence among Industry Award.